Powers: The representation of a product using exponents and bases, when the base is multiplied by itself. Square Numbers: The number we get after multiplying an integer (not a fraction) by itself. Example: 4 × 4 = 16, so 16 is a square number. 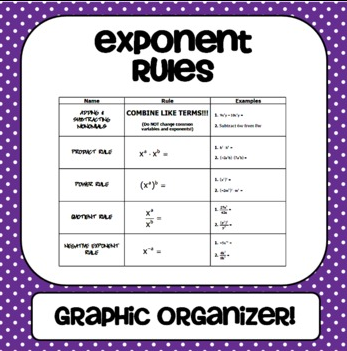 We square a number when the exponent of a power is 2. 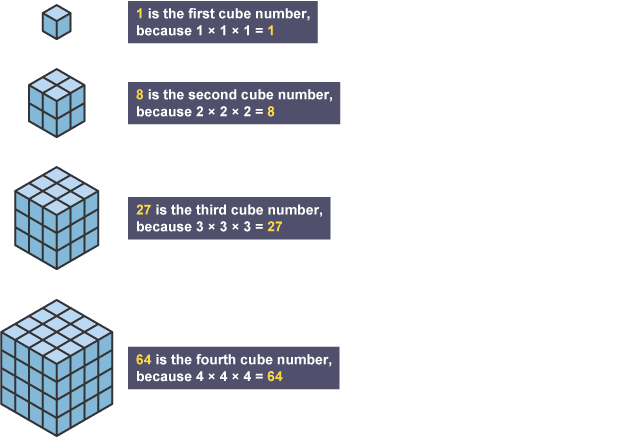 Cube Numbers: The result of using a whole number in a multiplication three times. Example: 4 × 4 × 4 = 64, so 64 is a cube number. 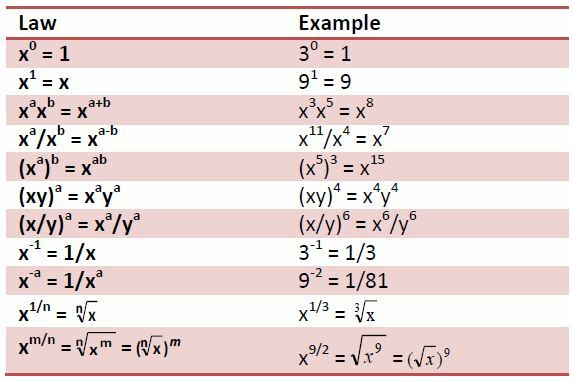 We square a number when the exponent of a power is 3. Square Roots: For square roots, find the "reverse" of a square. The square root symbol (√, also called a "radical" symbol) means basically the "opposite" of the 2 symbol. When you see a radical, you want to ask yourself, "what number can multiply by itself to give the number under the radical?" For instance, if you see √(9), you want to find the number that can be squared to make nine. In this case, the answer is three, because 32= 9. 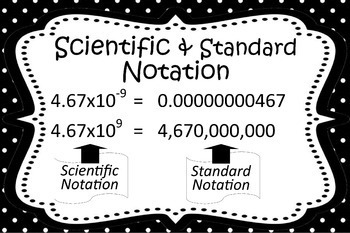 Scientific Notation: Where a number is written in two parts: First: just the digits (with the decimal point placed after the first digit.) 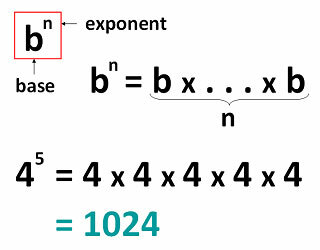 Followed by: ×10 to a power that will put the decimal point back where it should be. 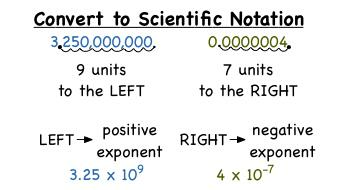 To convert a number from scientific notation, you move the decimal over so that you have a single digit to the left of the decimal (ones place.) 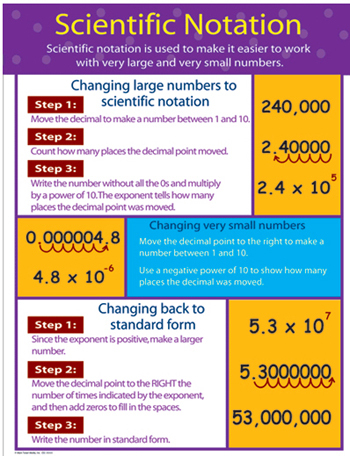 Count the number of decimal places you moved it, and that becomes the exponent on the ten. LearnZillion offers great explanation and example.